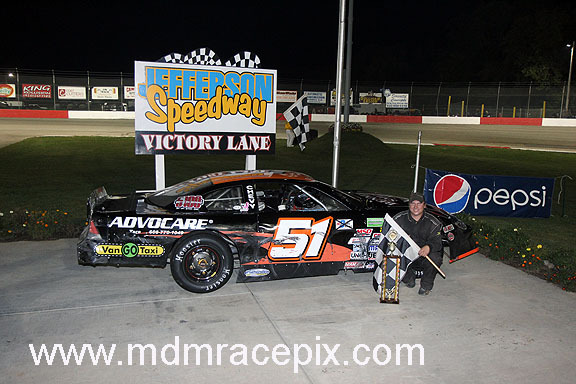 JEFFERSON, WI (Sunday, September 14, 2014) Sporting the Dan Chesmore tribute paint scheme, Edgerton’s Casey Johnson captured wins in both of the twin 65 lap Wisconsin State Championship Late Model features. 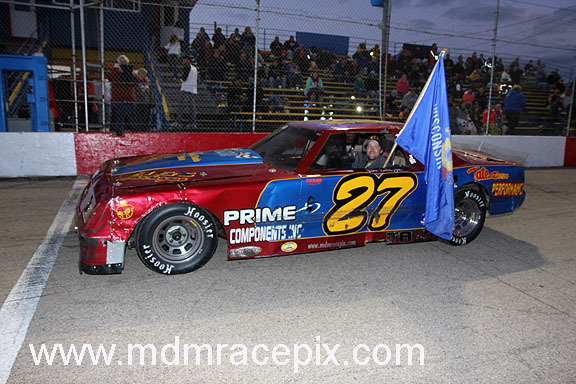 The wins marked Johnson’s seventh and eighth trip to victory lane this season at Jefferson Speedway and also won him his first Wisconsin State Championship. The first of two Big 8 Series Late Model main events got underway with Dale Nottestad and Kyle Jarlsberg leading the field of 24 competitors to green. Nottestad grabbed control on lap one as Jarlsberg dropped back into a battle for second with Noel Ramge. Two cautions in the early going slowed the pace with Nottestad still showing the way with Jarlsberg and Ramge in second and third respectively. On lap 21, Alex Papini joined the leaders taking over the fourth position behind Ramge. Another caution on lap 29 for fluid on the racing surface served as an extended break in the action while cleanup ensued. 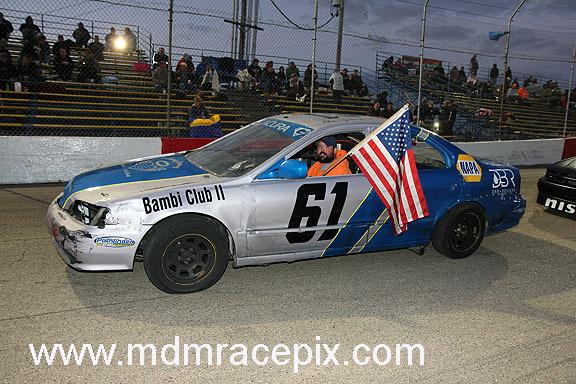 Once racing resumed, Papini continued his climb toward the front as he took third from Ramge on lap 30 and second from Jarlsberg on lap 32. Papini began to size up Nottestad on the point while the leader tried to keep him in his rear view mirror. Meanwhile, Johnson pulled his machine into the third position on lap 48. After another yellow flag period on lap 58, Papini began to apply heavy pressure to Nottestad with Johnson continuing to watch from third. Nottestad and Papini made contact several times, eventually resulting in Johnson spinning to avoid an incident and force another caution. Johnson was allowed to keep his position on the restart behind Nottestad and Papini with only six laps to go. Nottestad and Papini renewed their battle for the top spot once racing resumed. After swapping paint several time, Nottestad spun on lap 63 to bring out one final caution. Nottestad and Papini were relegated to the rear of the field on the restart for their involvement in the caution, handing the point over to Johnson with only two laps remaining. 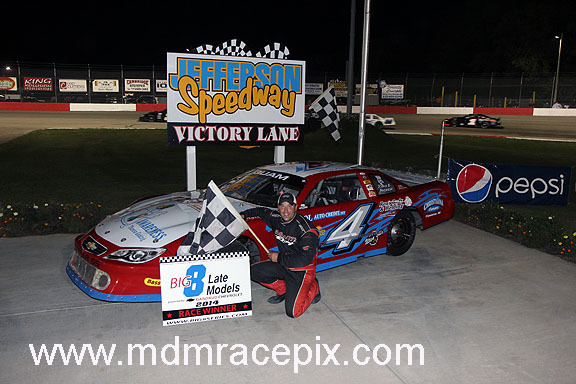 Johnson remained in control through the checkers to claim the win with Ramge, Stephen Scheel, Shaun Scheel and Dylan Schuyler completing the top five. 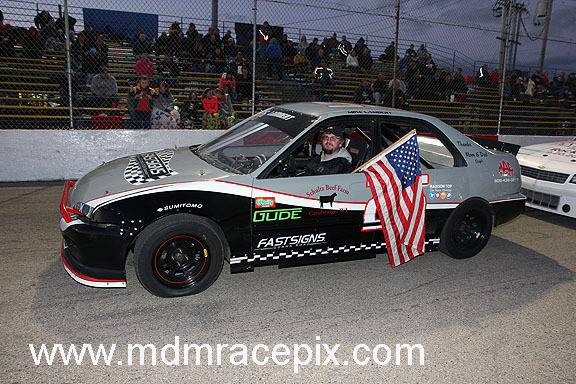 Jon Reynolds Jr took control on the opening lap of feature number two with Jason Schuler battling Don Gaserude for second. Gaserude made hard contact with the turn three wall on lap two to force a caution. Racing resumed with Reynolds out front and Schuler riding in second. Meanwhile, Johnson was picking way toward the front as he looked to secure the overall championship. Johnson entered the top five on lap 34. 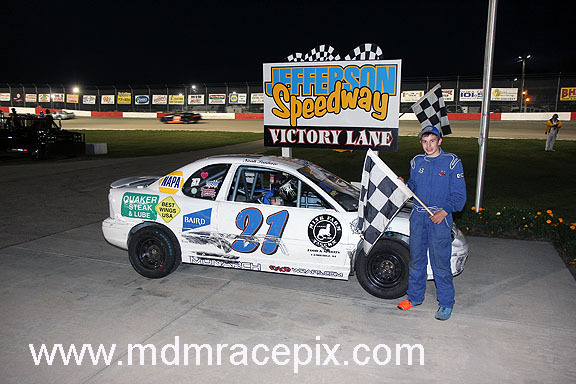 Johnson continued forward, taking fourth on lap 40 and third three laps later. By lap 45, Johnson was alongside Schuler for second with Papini riding in his tracks. Johnson cleared for the second spot and pulled up behind Reynolds on lap 49. Johnson made quick work of Reynolds to secure the lead and begin to pull away from the pack. 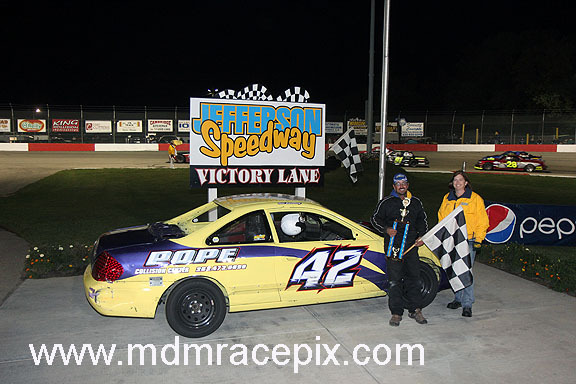 Papini followed into second in the closing laps, but Johnson was already well on his way to another feature victory. 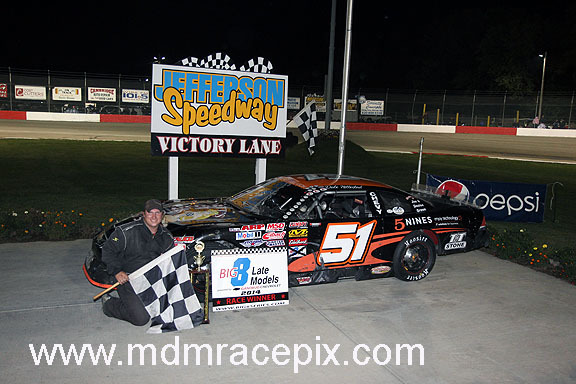 At the checkers, it was Johnson for the win followed by Papini, Reynolds, Schuler and Austin Nason. With his victories, Johnson was awarded the overall title with Noel Ramge second and Luke Westenberg in third. In Sportsman action, it was Waterloo’s Steven Sauer claiming the overall title while Kyle Chwala of Lake Mills and Mark Deporter of Fort Atkinson each won features. 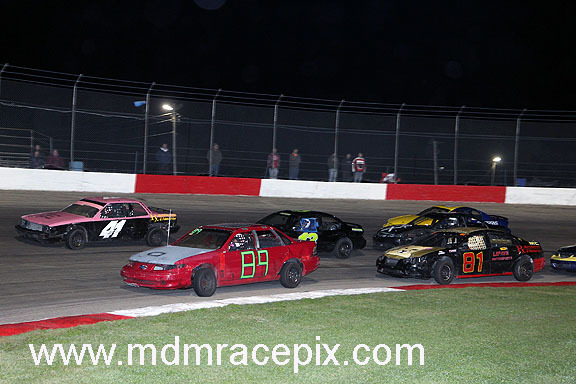 Chwala and Robert Hansberry Jr led the field to green to begin the first 35 lap affair. Chwala took command of the lead on lap one with Hansberry and Kody Hubred fighting for second. Hansberry reclaimed the position on lap three and began to mount a challenge to the early leader. Hansberry stayed close to Chwala as he searched for an opening to the front. But Chwala held him at bay as he led every lap to pick up the win. 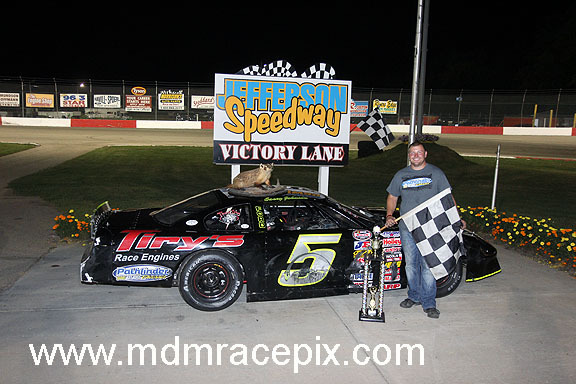 Hansberry was second in the first feature followed by Sauer, Jason Thoma and Deporter. 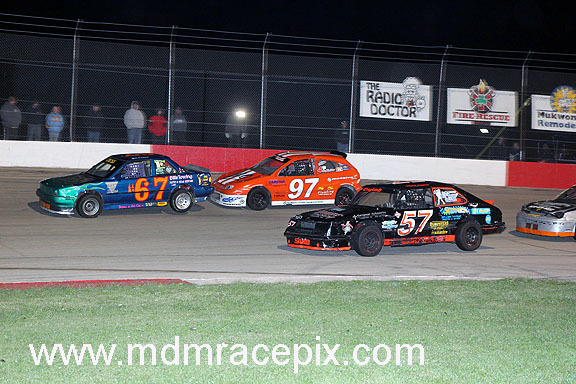 Feature #2 began with Terry Wangsness taking control in front of Mike Storkson and Jim Taylor. After two early cautions, Deporter joined the leaders in fourth. Deporter moved past Taylor for third and then claimed second from Storkson on lap 18. Deporter pulled up behind Wangsness on lap 21, drawing even and completing the pass a lap later with Sauer in tow for second. Deporter remained in control over the final circuits to see the checkers first and claim the win. Wangsness got back to second before it was over with Sauer, Hansberry and Hubred rounding out the top five. 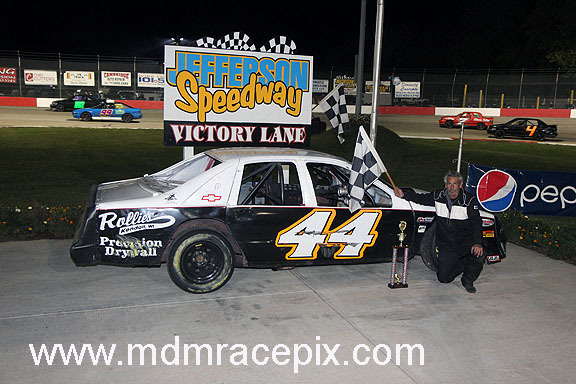 With two finishes of third in each feature, Sauer was the overall champion with Deporter second and Hansberry third. Watertown’s Chris Chenoweth claimed the overall International championship with his combined finishes of first and second in the twin 20 lap feature events. Chenoweth took command on lap one of the first feature from the pole with Joe Cross in second and John Handeland in third. After a caution on lap five, Seth Reamer joined the leaders, taking third from Handeland and drawing even with Cross for second. After a brief battle, Reamer cleared for the runner up position with Chenoweth still showing the way out front. 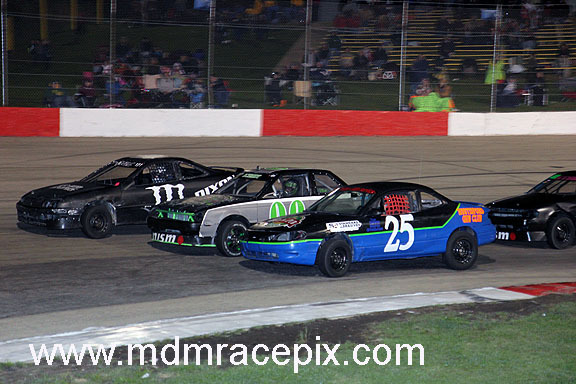 Reamer began to apply pressure to the leader while Mike Lambert pulled into third on lap 11. A final caution on lap 15 set up a five lap shootout to the finish with Chenoweth still out front and Reamer nipping at his heels. 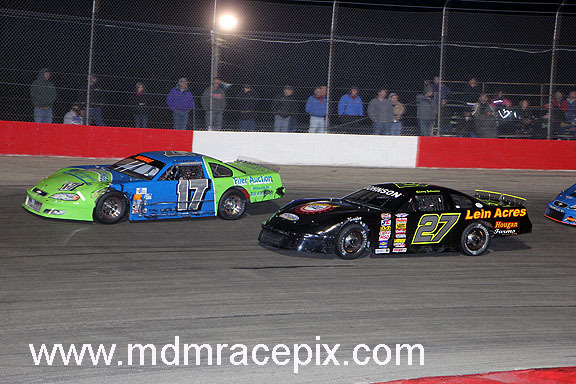 As racing resumed, Lambert made a move alongside Reamer allowing Chenoweth to stay in command. At the checkers, it was Chenoweth for the win followed by Lambert, Reamer, Cross and Jason Uttech. Dan Bagley led early in the second International feature event with Keith Bell close behind in second. Bell drove around Bagley to take the point on lap three with Casey Strese in tow for second. Strese didn’t wait long to take over the lead position, wrestling it away from Bell on lap seven and bringing Chenoweth along for second. Chenoweth slipped by Strese a lap later to lead his second feature of the afternoon with Reamer right behind in second. Reamer went to work on Chenoweth just as he had the previous feature, this time using the high groove. Reamer inched forward lap after lap until he owned the lead with three laps to go. 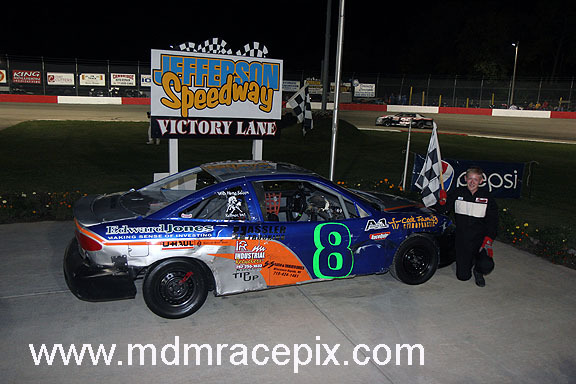 Reamer charged to the checkers to pick up the win followed by Chenoweth, Jamie Shelley, Lambert and Handeland. Chenoweth was crowned the overall champ followed by Reamer and Lambert. 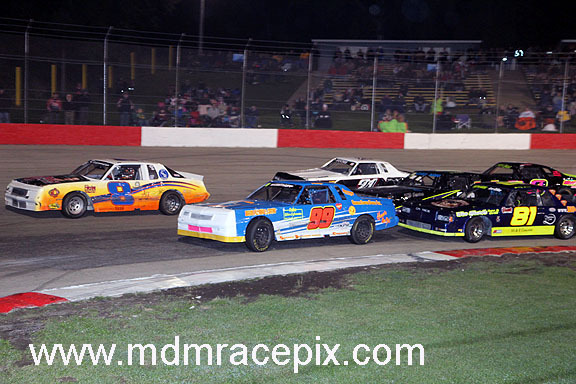 Dual Hobby Stock 30 lap main events got underway with Phil Wuesthoff leading the pack in front of Dave Trute. 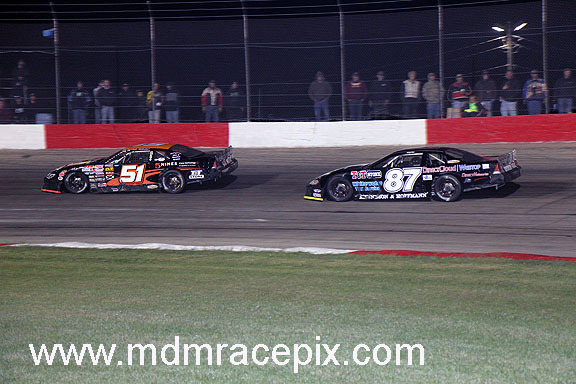 Trute began to challenge Wuesthoff for the top spot while Dustin Ward made his way to third by lap ten. After a caution on lap 14, Trute went back to work on Wuesthoff looking to lead while Ward slipped under Trute. 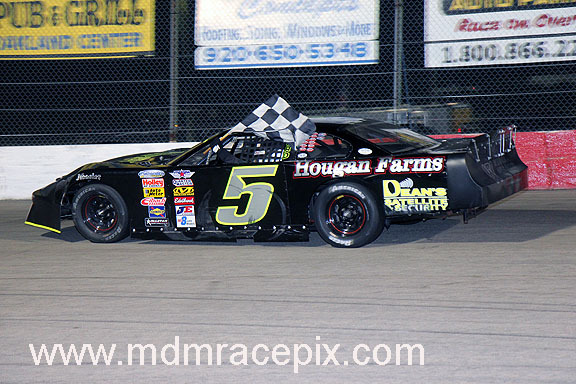 Ward moved into sole possession of second on lap 24, but Wuesthoff was well on his way to picking up the win. Ward settled for second with Trute, AJ Lloyd and Cody Buchs completing the top five. 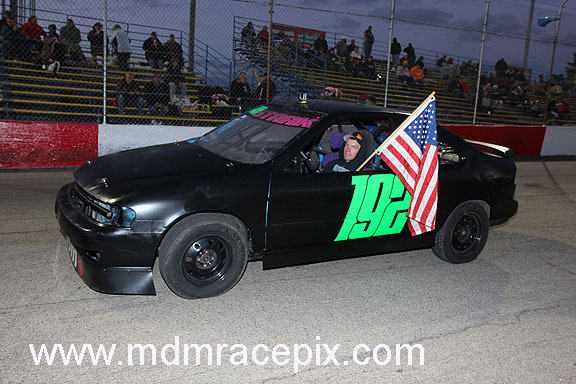 Scott Riemer led the second feature on lap one with Jeff LeFave up to second and Wayne Buchs in third. Buchs got by LeFave for second on lap eight with AJ Lloyd in tow for third. Lloyd quickly began to challenge Buchs for second, claiming the position on lap 11. Lloyd pulled up behind Riemer on lap 13, drawing even and clearing for the top spot a lap later. 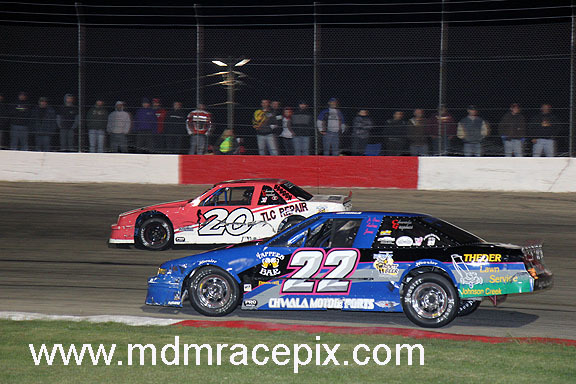 Lloyd began to stretch his advantage while Dustin Ward maneuvered his way up to second on lap 17. But Lloyd cruised all the way to checkers to claim the win with Ward coming home second once again. Wuesthoff was third followed by Wayne and Cody Buchs. With his two second place finishes, Dustin Ward of Waterloo was awarded the overall title with Wuesthoff second and Lloyd third. 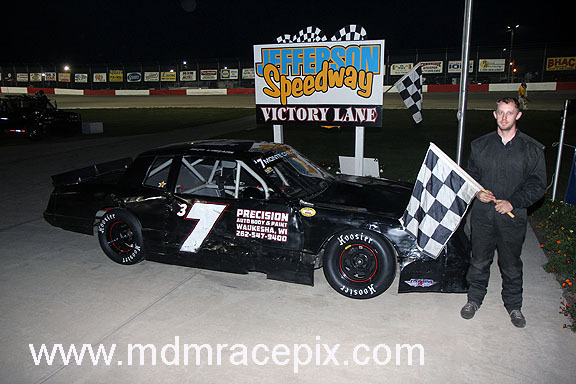 Identical top five finishes in the twin 20 lap Road Warrior features resulted in Bill Sweeney of Edgerton picking up the clean sweep and the championship for his division. Sweeney led lap one in the first feature with Bill Reynolds and Chris Gottschalk battling for second. 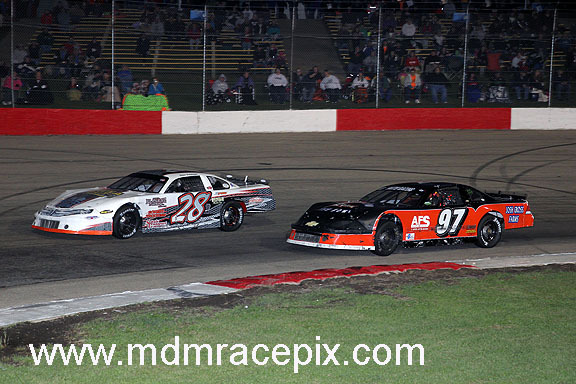 Reynolds and Gottschalk fought wheel to wheel over the length of the race with Gottschalk eventually gaining the upper hand in the closing laps. But Sweeney led from start to finish winning feature number one followed by Gottschalk, Reynolds, Craig Henning and Bryan Gottschalk. The second feature began with Jordan Lamb out front and Chad Olds in second. As Lamb and Olds raced side by side for the lead on lap four, Reynolds charged up the middle to take over the top spot on lap five. 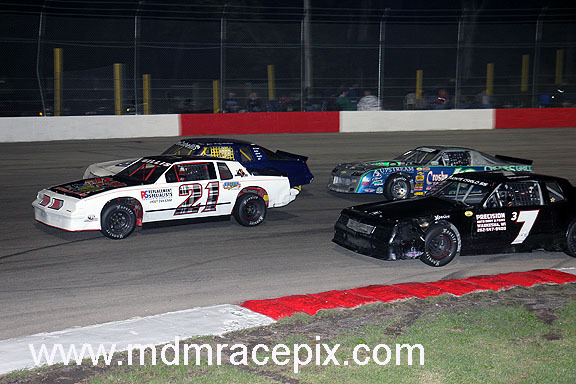 Sweeney followed into second a lap later with Gottschalk in tow as the top three broke away from the rest of the pack. 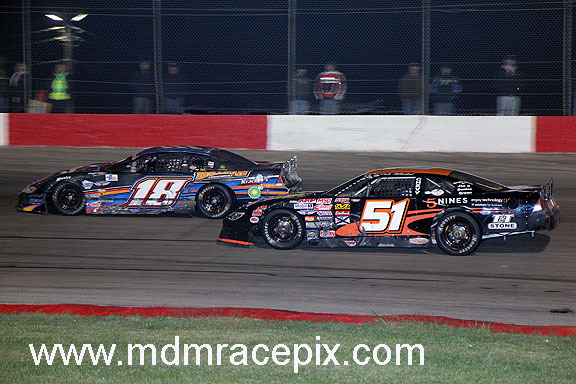 Sweeney drove under Reynolds entering turn one on lap 15. After a brief side by side battle, Sweeney cleared for the lead allowing Gottschalk to follow under Reynolds for second. 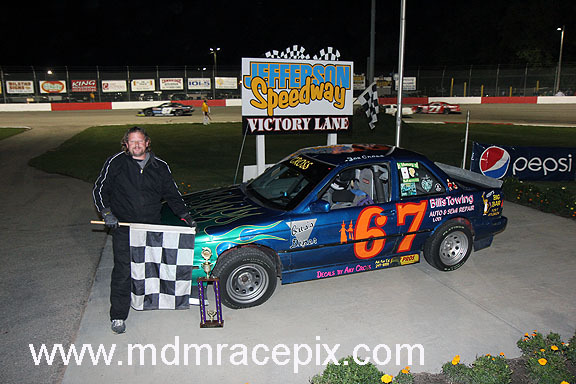 At the checkers, the results were the same as feature number one with Sweeney claiming the win. Sweeney was the overall champ with Gottschalk second and Reynolds in third. 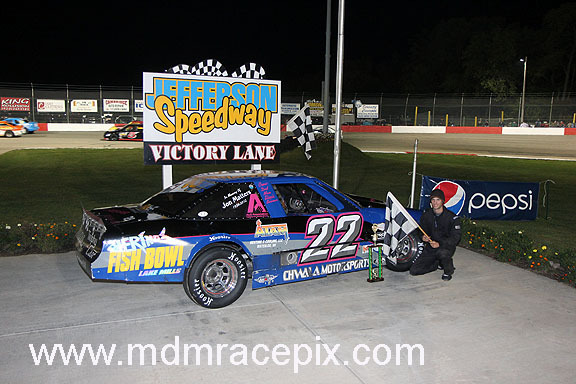 Twin 20 lap Bandit features ended much the same as the Road Warriors with Waterloo’s Kyle Stark picking up the clean sweep. 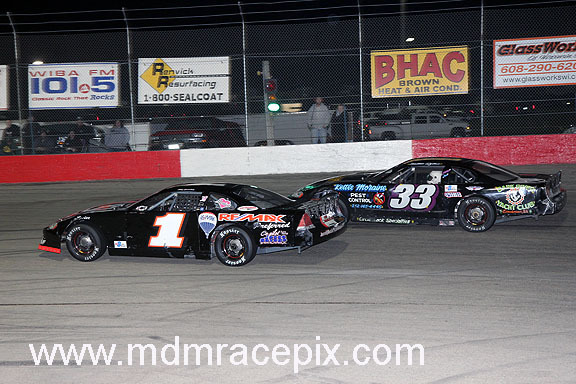 Stark and Nick Schmidt battled from row one to begin the first race with Stark taking control of the point on lap three. Stark dominated the race while Tom Pfeifer slipped past Schmidt for second. 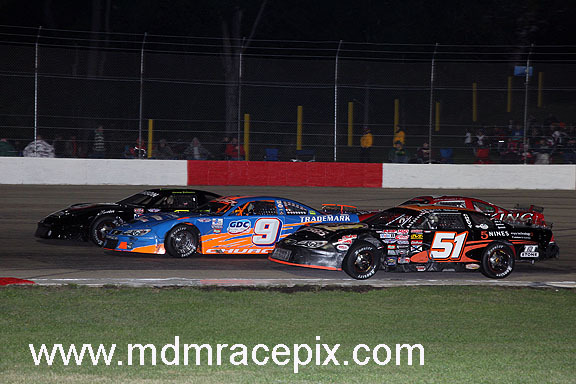 At the checkers, it was Stark out front followed by Pfeifer, Schmidt, Steve Dickson and Devon Dixon. 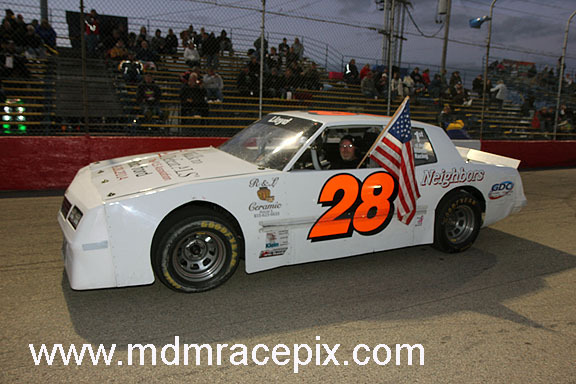 Dave Schmidt led the second feature with Jeremy Bredeson up to second. After a caution on lap five, Kyle Stark charged into the top five as he picked his way to the front. Devon Dixon pulled into second on lap seven with Stark on his heels for third. After Dixon claimed the top spot on lap nine, Stark launched his bid for the lead. Dixon and Stark raced door to door as the laps began to tick away. The duo raced past the white flag with nothing settled at the front. Stark gained the advantage down the back stretch on the final lap and hung on to see the checkers first. Dixon settled for second with Steve Dickson, Tom Pfeifer and Dave Schmidt rounding out the top five. 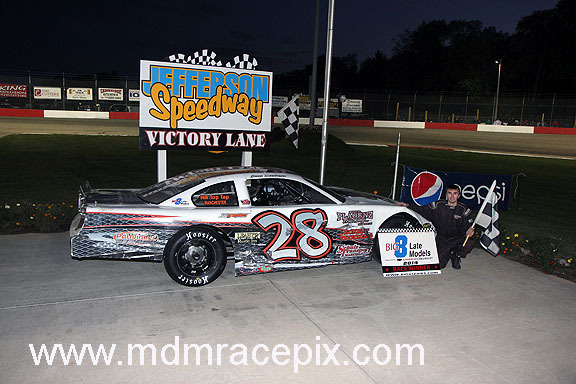 Stark’s two wins netted him the overall title with Pfeifer second and Dickson in third. 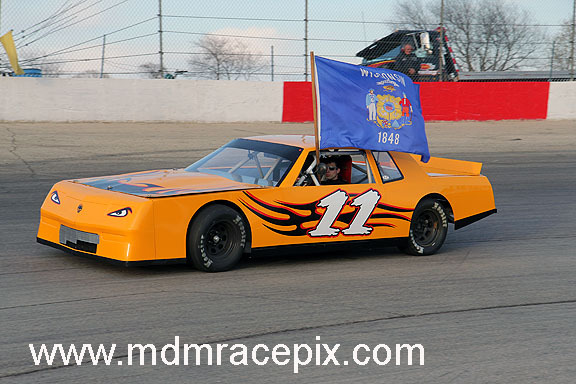 This marks the completion of the 2014 racing schedule at Wisconsin’s Action Track. 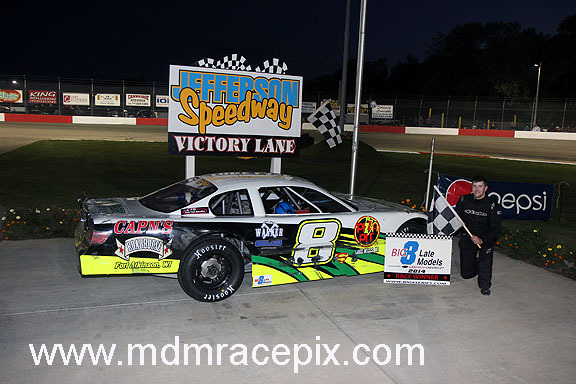 Jefferson Speedway would like to thank all the fans, race teams and sponsors for another great season of racing entertainment. 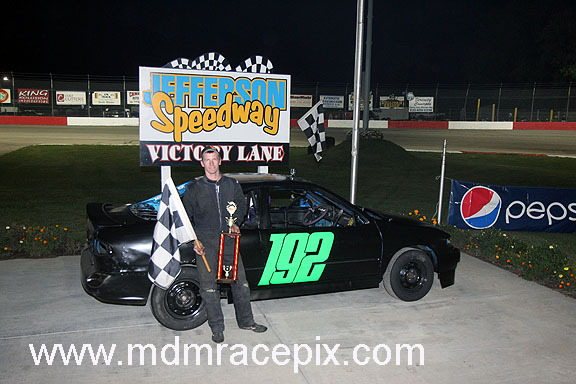 Stay tuned to www.jeffersonspeedway.com for information on upcoming events.